As I write this there are approximately four days of work left before I break up for the Christmas holidays (yes I’m being smug) and so I’m in a rather festive mood, unsurprisingly. Over the last few days my mind has been firmly set on all things yuletide and when thinking about the theme of my Escentual column this week I kept coming back to the idea of Christmas colours and the scents that capture the vibrancy and essence of these shades. For me, Christmas is all about the perfect trifecta of red, green and gold. 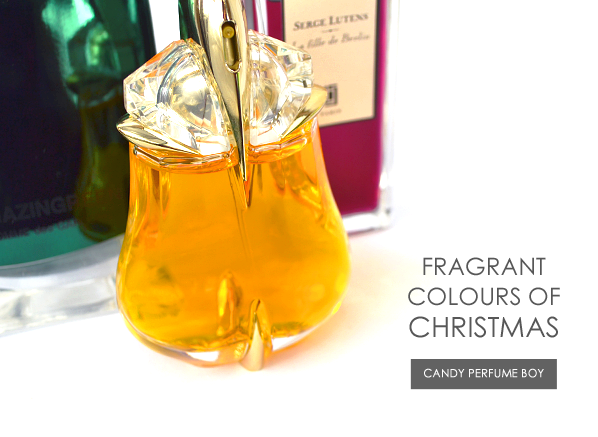 Whether they adorn one’s tree, dinner table or Christmas cards, these three colours are the pure essence of the festive season and they are so bold, vibrant & unmistakable that they can easily be captured in an olfactory form, and here you’ll find my favourite festive scents that embody the colours of red, green and gold. Red is the first colour one associates with the Christmas season, due in part to the fact that the chubby bearded dude (a.k.a. Father Christmas/Santa Claus) is very well known for his spiffy red and white suit. But it’s not just Santa that rocks the red during Christmas, in fact there are many hues of the colour sported during noel, such as; holly, mulled wine and red breasted robins, to name just a few examples. Red in perfume can mean many things; fruit and spices, for example, but the most common rouge ingredient is the rose. Roses however, aren’t particularly festive and it’s the red berries and mulled spices that truly make for a scarlet odour. 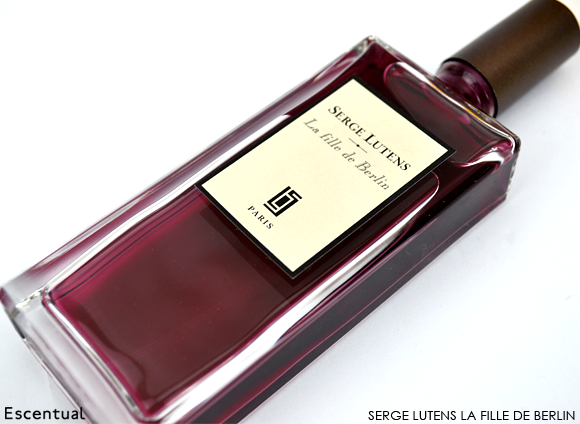 La Fille de Berlin by Serge Lutens is red in colour, roses, berries and spices, making for a wine-like take on roses that is surprisingly in keeping with a crimson Christmas. Parfum Sacré by Caron is one of my personal Christmas staples and it captures the feel of all that makes the season red, spicy and warm. Cinnamon, clove and incense cones are pulped together with a huge dose of face powder to create an olfactory pomander that feels very classic for a perfume released in the early ‘90s. Parfum Sacré is Christmas red with the slightest touch of pink – it’s the rosy red cheeks on the face of your beloved coming in from the cold. No colour is more instantly Christmassy than green – it is the hue associated with Christmas Trees, elves and festive wreaths, and Christmas wouldn’t be Christmas without a good spattering of green. The problem however, is that green fragrances can be troublesome and very few capture the joy and wonder of yuletide-themed greenery. One that does is Fille en Aiguilles by Serge Lutens (loosely translates as ‘Girl and Needles’) and taking the name into consideration it is, rather unsurprisingly,a pine scent. Of course, nothing is straightforward in the world of Serge Lutens and his ode to pine needles isn’t a photorealistic interpretation of the Christmas tree, instead it smells something more akin to candied pinecones and incense – a festive alternative to pot pourri, perhaps? 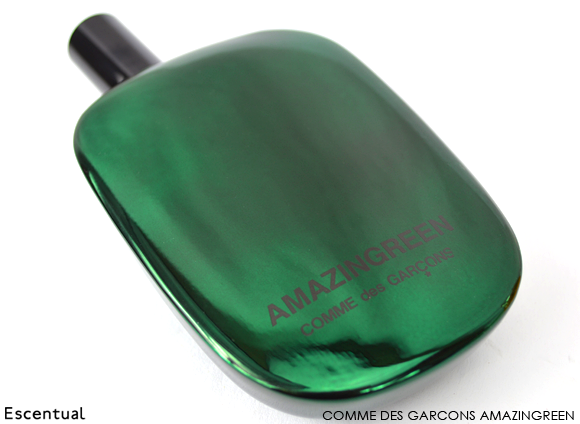 Where Fille en Aiguilles channels greenery plucked from the wild, Comme des Garçons’ Amazingreen captures the essence of the synthetic Christmas tree, perhaps due to the fact that despite its ambitious name it isn’t particularly ‘Amazing’ or even very ‘Green’. But that’s not to say that this dewy, sweet and slightly plasticky take on the most difficult of perfume colours is without interest, in fact it has a fake feel to it, almost as if it is there to represent a brand new and imagined idea of green, just like a tackily decorated tree. Gold represents the glitz and glamour of Christmas – it’s the glimmering tinsel on the tree, the gleam of expensive jewellery and the crackle of colours from the fireplace. Red and green may be the staple theme colours of the Christmas season, but gold is the colour of precious metals that truly makes the yuletide extraordinary and special. One of my favourite Christmas scents is tinsel, a material that smells as uncomfortable as it feels, almost like hot dust off a light bulb mixed with synthetic fibres. Comme des Garçons’ 8 88 is a pretty decent interpretation of the odd yet unmistakable odour of golden tinsel, thanks to its unusual mix of warm saffron, chilly incense and zephyrous aldehydes. 8 88 really has to be smelled to be believed. 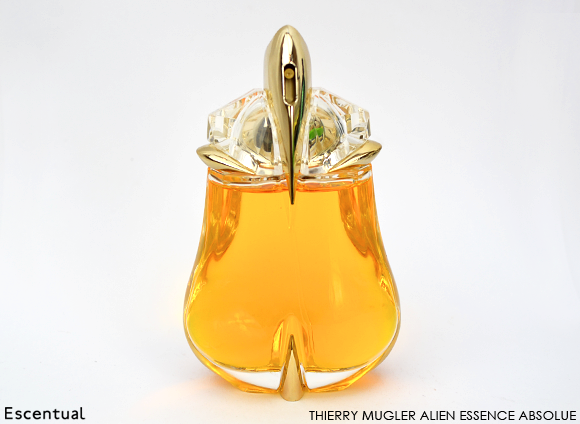 If the only gold you’ll accept at Christmas is in jewellery form then Thierry Mugler’s Alien Essence Absolue (newly launched at Escentual, FYI) is the scent for you. When I reviewed this one on my blog I hailed it as ‘The Alien Queen’ due to it being the richest and most glamorous version of Mugler’s wonderfully unique Alien. In Essence Absolue the thick jasmine syrup of the original has been blended with a touch of iris and the creamiest, most gourmand vanilla to create a perfume that is as opulent as the chunkiest golden jewellery. Alien Essence Absolue is a fragrance for those that expect to be truly spoilt at Christmas. Which fragrances are your favourite takes on red, green and gold? This fragrance plays with contrasts. It changes between brigt and dark, light and shadow, fresh and warm. The fresh, balmy pine notes becomes sweet. Later, when incense and spices take their part, becomes smoky and difuse. The deep lush green develops into a impenetrable and dense black forest plenty of sheer sensuality. This entry was posted on Wednesday, December 18th, 2013 at 9:00 am and is filed under Candy Perfume Boy, Christmas, Fragrance, Guest bloggers. You can follow any responses to this entry through the RSS 2.0 feed. You can skip to the end and leave a response. Pinging is currently not allowed.